Finding help for an elderly loved one can be daunting. My grandmother just turned 99. She has had the same home health aide since 2005. At this point, the aide is part of the family. But the situation can just as easily turn out poorly. How can you make sure your loved one is receiving quality care? If you have a tip from a friend, coworker, or health-care provider, that is a great start. Nursing and social-work students can also be helpful solutions, with the caveat that many take full-time jobs after they graduate. Agencies can also provide promising leads for a capable, compassionate helper to care for your loved one. What are your qualifications? Nurses can provide skilled medical care, while certified nursing assistants (CNAs) and home health aides are generally trained to administer medication, check vitals, and execute other basic tasks. Keep in mind that a home care aide’s role, in contrast to a home health aide, is to take care of housework and personal care. Home care aides do not perform any medical tasks, so if you anticipate needing that, clarify what training and certifications your candidate has. What is your availability? 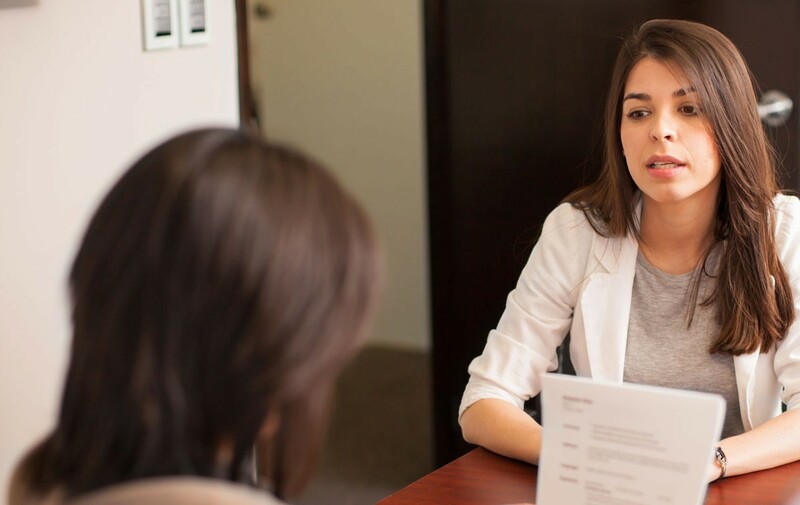 If you are interviewing someone with another job or who is a student, it is critical to make sure your schedules are compatible. Does your candidate expect to have regular or flexible hours? What sort of vacation time does she expect? Are you able and willing to drive? If your loved one is no longer able to drive and does not have access to shuttles or public transportation, you might want your home health aide to drive. If your candidate does drive, is he willing to use a personal vehicle? How would you handle a situation such as _____? Present a few scenarios. Although scenarios are contrived, asking “What would you do in this situation?” can give you at least a general idea about your candidate’s problem-solving skills, perspectives, and resources. How would the candidate handle an interpersonal conflict with another relative of your loved one? What would the candidate do if a conflict arose with your loved one? If your candidate would be administering medication, what would she do if she suspected your loved one was abusing the medication or if your loved one was refusing to take it as prescribed? What would your candidate do if your loved one experienced a sharp decline in functioning? Do you have any special skills or area of experience? Does the candidate have experience with memory care? Any background in recreational therapy? What interests does the candidate have that might mesh well with your loved one’s interests and background? My grandmother loves playing word games and doing crossword puzzles, so it was important to find an aide who could do those types of activities with her. How do you use social media? You can check your candidate’s social media presence, but it is also helpful to ask about how he uses platforms such as Instagram, Twitter, and Facebook. Be clear about your expectations regarding his social media use on the job and references to your loved one in potentially public forums. How long did you stay at previous jobs, and under what circumstances did you leave? There are many reasons a person might have numerous jobs on her résumé. Many people work multiple jobs, and some take temporary jobs or part-time work while balancing other obligations such as school and family. Be alert for complaints or bitterness directed toward previous employers. It is normal to have had a few bad job experiences, but a candidate who perceives herself to be under attack or seems unable to get along with others probably isn’t a good choice for the demands of caring for your elderly loved one. What training do you have in food preparation and food safety? If your candidate will be preparing food for your loved one, experience in the food-service industry is a big plus. Knowledge of basic dietary and food-safety practices is essential. Is the candidate willing to get training in this area or follow a meal plan? Are there any types of jobs you won’t perform? Home health aides and home care aides often do light housework but not heavy cleaning. Be specific about the types of tasks your candidate would need to perform, and make sure the two of you are a good fit in that regard. Why do you do this kind of work? You want a caring helper for your loved one. If the person you are interviewing doesn’t have a clear reason why he is in this line of work or can’t articulate why he feels drawn to care for the elderly, that might be a red flag.